The perfect time to purchase a Medicare Supplement Insurance policy (known as Medigap) is during your 6-month Medigap open enrollment period. You can enroll in any Medicare supplement insurance during this period. You can completely skip the medical questions if you qualify for open enrollment! Although…. it might not be as simple as that. There could be some technicalities that we need to address. You may also think, “What if I miss the window?” or “What if I still have insurance?” and host of other questions. This quick article will try to address all of your questions. There is really only one requirement in order to be eligible for the Medigap (initial) open enrollment period. That requirement is that you have to be within 6 months of your enrollment into Medicare Part B. California and Oregon both have an additional Medigap open enrollment period, which we will discuss in another article. For most people (but not all), it means within a few months of turning 65. Turning 65 signals that you are eligible to enroll in both Medicare Part A and Part B. Take note that there is a 7-month Initial Enrollment Period to sign up for Part A and/or Part B. It begins 3 months before the month you turn 65 and it includes the month you turn 65. The eligibility period ends 3 months after the month you turn 65. During the Medigap open enrollment period, Medigap insurance companies must sell you a policy regardless of your health status. The best available rates may depend on a number of factors such as age, gender, marital status, and so on. But, Medigap insurance providers cannot deny you coverage. They are limited in their ability to exclude coverage for pre-existing conditions, meaning conditions you had before you enrolled. There are some states that allow open enrollment to Medigap under 65 years old with some restrictions. People with disabilities or certain conditions such as Lou Gehrig's disease or end-stage renal disease are qualified. Normally, people with disabilities will get an initial six-month Medigap open enrollment period starting with the Part B effective date. When they turn 65, they will get a second 6-month window. Your eligibility will depend in which state you live in so be sure to contact us if you have questions. 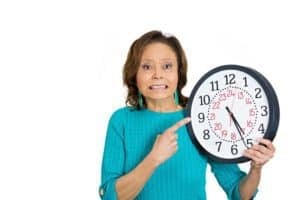 What if the Medigap Open Enrollment Period Passes? If the Medicare Supplement open enrollment period passes, you are not totally out of luck. You still might be able to get a Medigap plan, depending on your medical conditions. But if you do have medical conditions that the insurance company will agree to cover, expect a higher monthly premium and you may be subject to a 6 month waiting period before Medigap will cover those pre-existing conditions. Bankruptcy: Your Medigap insurance company goes bankrupt or misled you. Coverage Ending: Your Medigap coverage ends through no fault of your own. Employer Coverage Ending: Your employer coverage is ending and you enrolled in original Medicare. SELECT: Moving: You enrolled in a Medicare SELECT plan (a type of Medigap plan that uses provider networks), and you move out of your plan’s service area. 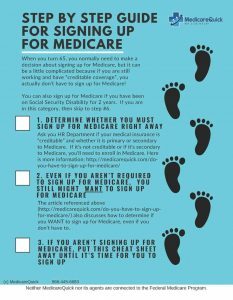 MAPD: Moving: You enrolled in a Medicare Advantage plan and move out of the plan’s service area, or your Medicare Advantage plan leaves the Medicare program. 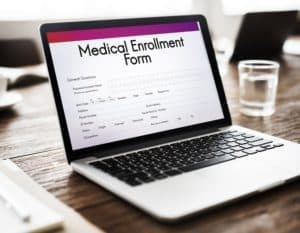 12 month trial right: You enrolled in a Medicare Advantage plan at age 65 when you were first eligible for Medicare Part A, but changed your mind within the first year and want to return to Original Medicare. Dropped Coverage: You dropped your Medigap plan to enroll in a Medicare Advantage plan for the first time, but changed your mind within the first year and want to return to Original Medicare. 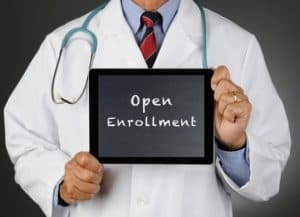 As an additional piece of information, the Annual Open Enrollment in the fall is totally different from the Medigap Open Enrollment period. The Annual Open Enrollment only applies to Medicare Advantage plans and Part D drug plans. There you have it. The Medigap Open Enrollment generally happens within 6 months that you turn 65 years old and when you've enrolled in Medicare Part B. We hope you didn't miss the opportunity. But if you did, there are still Medigap plans that could be available for you, although premiums may be higher. You can enroll without worrying if you have Guaranteed Issue rights! Contact us to learn more about your rights and coverage options.